The item which you receive when you purchase the gift. 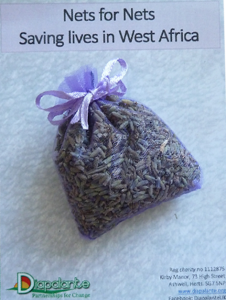 – A mosquito net to protect children in West Africa. In Africa a child dies every minute from malaria. 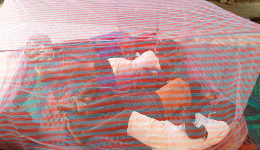 Sleeping under mosquito nets protects against the malaria carrying mosquitos that bite at night. Sadly most African people at risk of malaria cannot afford to buy a net. The purchase of this net will help to provide mosquito nets to protect children in West Africa. 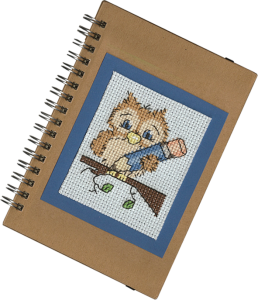 When you buy this notebook (12cmx15.5cm) with its hand embroidered owl motif the you are helping to purchase textbooks for use in Senegal. 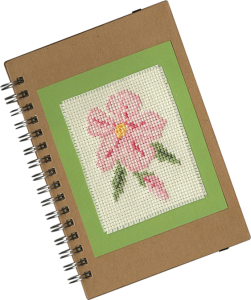 When you buy this notebook (12cmx15.5cm) with its hand embroidered flower motif the you are helping to purchase textbooks for use in Senegal.